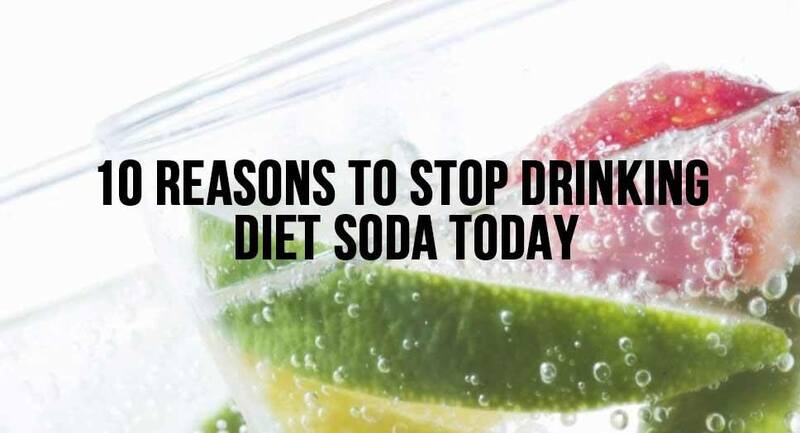 – Diet soda is calorie-free, but this does not mean it will help you to lose weight. You could actually increase your waist line by 500% according to the recent studies done at University of Texas. Part of the reason for this could be psychological. I can imagine a few diet soda drinkers purposefully or subconsciously thinking if they aren’t drinking calories then they can replace these calories with food, but there are other reasons to this confusing but true fact. – This health condition is associated with a group of risk factors that often occur together. It is defined as having at least 3 of the following: High Blood Pressure, High Fasting Glucose, High Triglycerides, Low HDL cholesterol or Abdominal Obesity. In truth, it is possible you will be more at risk to develop Metabolic Syndrome if you drink diet soda! A study was published in 2008 that followed 9,514 people around for 9 years who drank artificially sweetened beverages. The results showed they were 34% at greater risk of developing Metabolic Syndrome. Read: The amazing benefits of drinking warm water with lemon first thing in the morning….you have to try it! – Studies show drinking diet soda regularly is possibly linked to early aging. If you are young and long-term affects do not scare you, diet soda also lowers your pH levels, which can cause acne or leave your skill looking unhealthy or dull. – Aspartame found in diet soda has been linked to headaches, dizziness and mood swings. Aspartame is especially potent for people who are already struggling with depression and anxiety. If you do not already struggle with depression, if you drink 4 cups a day for 10 years you are 30% more likely to develop it says the American Academy of Neurology. – In time, the products with artificial sweeteners will dull our senses to foods that are naturally sweet due to its intensity. Diet soda also does not protect the body from triggering insulin, which puts the body in fat storage mode. – Drinking just 1 soda a day can increase risk of diabetes by 36%. That percentage is awfully close to the same one in relationship to Metabolic Syndrome. – Drinkers who consumed a beverage with artificial sugar versus regular sugar had a higher breath alcohol concentration according to research. They believed that artificial sweetener might absorb into our bloodstream faster. This is a fairly new discovery, but I truly hope this quickening effect is shared soon. I can imagine a few confused drinkers blowing on a breathalyzer! Read: Try This – Make Your Own Organic Energy Drinks! – 1 diet soda drink a day can increase your risk of having a vascular event such as a heart attack, stroke or vascular death according to research from multiple universities. Research discovered diet soda drinkers were 43% more likely to have a vascular event than people who drink none. In the same studies, they saw no increased vascular events with people who drink regularly sugared sodas, but more studies need to be conducted to conclude this statement. – Research published on General Dentistry, compared the mouths of a cocaine-user, a methamphetamine-user and a habitual diet soda drinker, and found the same level of tooth erosion in all 3. The citric acid destroys tooth enamel over time making a habitual diet soda drinker look like an extra in Breaking Bad. – With everything stated above, why drink diet soda? You are receiving zero benefits and a long list of possible concerns with regular consumption. If you are accustomed to using the fizziness, sparkling water is the perfect replacement and the body needs water for bodily functioning.